Welcome to the xAPI-AR program. The mission of this program is to facilitate an international collaboration from members in both the AR and xAPI communities to define xAPI services with capabilities to effectively track and monitor human performance across a variety of industries and markets including, but not limited to, health, learning, operational efficiency, and entertainment. Increase awareness and broaden understanding of the benefits of xAPI enabled AR learning experiences in both informal and formal learning environments. Author and vote on at least one report or “position” paper that details the vision, the workflow, and recommended practices of xAPI enabled AR experiences. Hold and archive webinars and information sessions to communicate information about xAPI and AR to technical audiences. At least 3 of these session will feature invited speakers who will showcase their projects using xAPI enabled AR experiences. (Time and resources permitting), create one or more implementations that demonstrate the recommended uses of the xAPI enabled AR learning technology intervention. Together, the xAPI-AR group will develop documents that capture the results and analysis of this study. We will also participate in the ADL xAPI Design Cohort to develop examples of xAPI-enhanced AR experiences. More information about the xAPI Design Cohort. The xAPI-AR group was started in April 2014 by Christine Perey, who led the effort to conduct informal and exploratory meetings to define preliminary user and technical needs from both the AR and xAPI communities. In December 2014, The Juxtopia Group, Inc., non-profit 501c3 organization, (www.juxtopia.org) volunteered to provide leadership for this group. The Juxtopia Group now manages the group as a special program. The xAPI-AR group is a community activity open to anyone with interest in the development and sharing knowledge and experimenting with the creation and use of xAPI-enhanced AR experiences. To join the xAPI-AR group, please complete this form. If you want to learn about the xAPI Design Cohort and the AR related projects watch the ADL xAPI Design Cohort overview session archive. Experience API (xAPI) The Experience Application Programming Interface (API) is a service that allows for statements of experiences to be delivered to and stored securely in a Learning Record Store (LRS). These statements of experience are typically learning experiences, but the API can address statements of any kind of experience. The Experience API is dependent on Activity Providers to create and track these learning experiences; this specification provides a data model and associated components on how to accomplish these tasks. Hence, any type of software or system that has been xAPI enabled can generate Experience API data. The xAPI operates based on activity streams, which is a model that uses software to track things people do. The xAPI makes it possible to track activities that people do using computers such as performing work tasks, producing work outputs, interacting with others using social media, achieving milestones in games and simulations, and just about any other activity that one can observe or record. Augmented Reality. Augmented reality (AR) is one part of Milgram’s Virtuality Continuum where a user experiences a live view of a physical, real-world environment whose elements are augmented (or supplemented) by computer-generated multi-modal sensory input (e.g., sound, video, graphics, or GPS data)1. 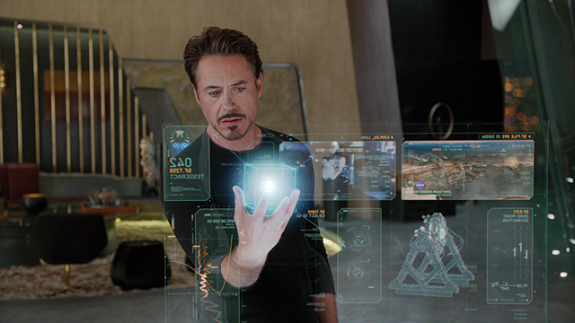 As a result, the technology functions and has capabilities to enhance or augment one’s current perception of reality. AR has demonstrated capabilities to assist humans interface with real-world objects to explore, entertain, play, and complete a variety of tasks. 1Wikipedia definition of Augmented Reality.